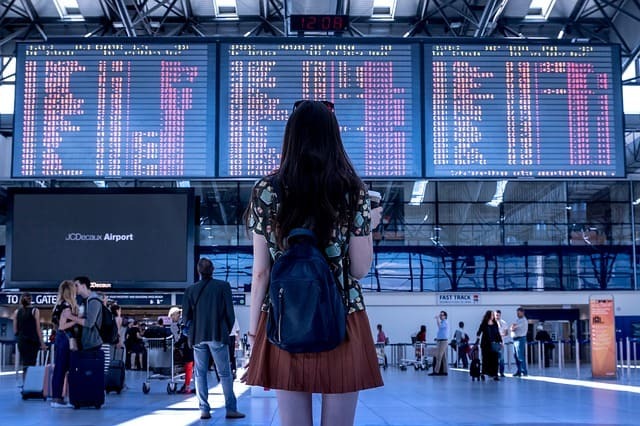 If your job requires you to fly thousands of miles every month, packing is certainly one of the biggest hassles you need to deal with on a weekly basis. If you’re tired of constantly wrinkled clothes, the lack of space in your suitcase and not such a big versatility of outfits no matter how many items you actually pack, we’ve got a treat for you. The following guide will help you pack efficiently and allow you to look fabulous by mixing all the right clothing items. First of all, you need to pack all of the essentials in order to make the trip stress-free. In order to do that, you’ll have to put it all on paper. This is especially important if you’re a procrastinator and you don’t even like thinking about packing until the last minute. Adding the items to the list whenever they pop into your mind will save you the precious time you don’t have anyway, once you start packing. Just cross the items off the list as you put them in the suitcase and you’ll make sure everything is travelling with you. To avoid the nasty wrinkles on your clothes, think about rolling your clothes into your suitcase instead of folding them. Not only will they be less wrinkly, but you won’t have to deal with annoying marks that folded clothes have on the side and across every top. Also, rolling the clothes is one of the main tips packing-savvy travelers give out, since they say that this method saves the space in the suitcase as well. Just roll your tops, dresses, pants and skirts into snug little bundles and if they still get small wrinkles, hang them in the bathroom after you’ve had a hot shower. The steam will make them smooth again. If you’re travelling for work, and you know how many black-tie events, office occasions and other formal events you’ll be attending, it would be best to plan your wardrobe. That way, you’ll avoid bringing too many items. Also, picking a color scheme would be one of the best strategies to save space. Not to mention that you won’t have to think too much about which shades to match. Many models tend to stick to neutrals, or black and white, which is especially convenient when it comes to the choice of swimwear. If you bring neutral bathing suit bottoms you’ll be able to mix and match them with various tops in order to create versatile combos. Packing several basic items, such as a white t-shirt, a pair of jeans, and a jacket that goes with anything, allows you to throw in a few other bold items, and mix and match on the go. If you want to save plenty of space in your suitcase and pack even more clothes than you used to be able to, use space saving bags. All you need to do is fill the bags with clothes and vacuum out the excess air. That way, they’ll become a compact little package allowing you to stock a bunch of bags in your travel bag, and pack all the clothes you need for a vacation with your sweetheart. Various brands guarantee air and waterproof features, so feel free to stock up on space saving bags in case you need to transport wet or dirty clothes. Dual purpose clothes will save you loads of space, while also allowing you to create versatile outfits. Leggings, for example, are the perfect multi-purpose clothing item. Not only can you wear a basic set of black leggings as pajamas, but for added warmth underneath your jeans, or even as pants too. One dress will be enough if it’s black because you can match it with a tank or cover it up with a button-down top. A black mini skirt is another multi-purpose item as it can be combined with a black top to look just like your favorite little black dress, or maybe with a grey tucked in blouse and fancy jewelry for a flirty night out outfit. Packing doesn’t have to be a nightmare if you only know the right tricks to pack light but still bring everything you need. Just make sure you follow the aforementioned tips, and every future trip will be fuss-free. If you travel a lot, packing and unpacking is easily one of the most annoying processes ever. Click here to learn a few great packing tips!